A story for Children. Storyboards also available in Welsh. Maria is asked not to kick her ball in the house but of course she finds it irresistible to do so - with disastrous results! 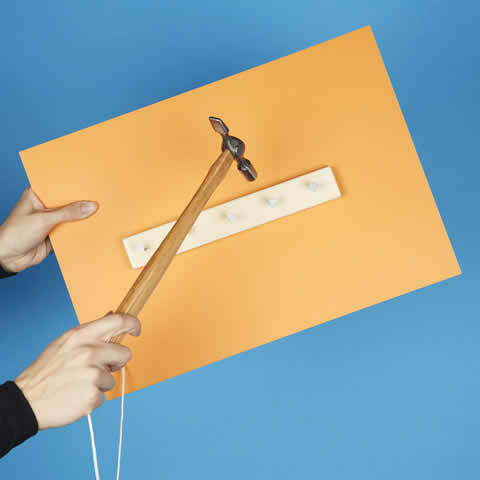 rubber ball / plastic carpet protector / sealed tin of marbles / phone keypad / wire netting / four nails in a block of wood, small hammer attached by cord.